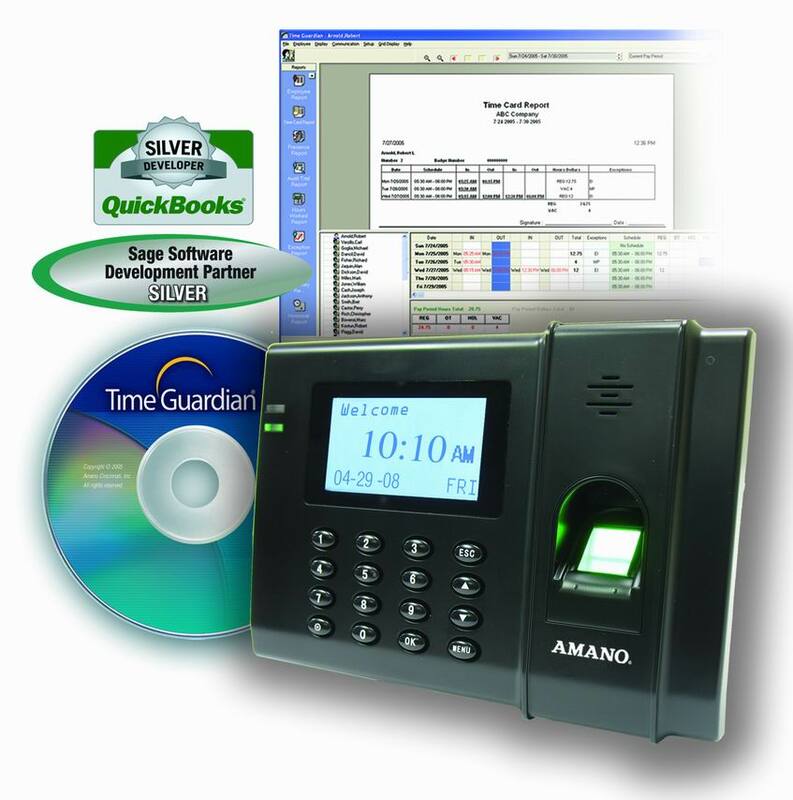 The Amano Time Guardian Fingerprint is a complete PC-based biometric system that uses fingerprint recognition to eliminate "buddy punching". The base system can accommodate up to 100 employees (upgradeable to 250). Clock can connect USB or Ethernet. Time Guardian®FPT-40 is an employee time tracking system designed to eliminate “buddy punching” through fingerprint recognition. This economical biometric time clock system minimizes payroll management, while saving you money on your bottom line. It also eliminates the cost of issuing and reissuing cards and badges and reduces manual calculation errors. The Time Guardian®FPT-40 interfaces with most common payroll applications, thereby providing a complete turn-key solution to accurately and efficiently manage your payroll.